Experience an at-home face lift with NuFACE Mini Facial Toning Device, an innovative, portable device that utilises micro-current technology to help lift and re-contour the appearance of skin. Safe and effective, the natural, non-invasive facial lift solution is clinically proven to improve facial contour and skin tone, whilst contributing to the reduction of wrinkles across the jawline, cheeks and forehead. The rechargeable device is FDA cleared and easy to use at home or on-the-go; it delivers visible, long-lasting results with continued use, and is suitable for all skin types and ages. Travel-friendly. Complete this microcurrent treatment 5 days a week for 60 days. After 60 days, you can reduce to 3 days a week. Suitable for all skin types and ages. FDA cleared. Cleanse the skin with an oil-free cleanser, removing any makeup, oils and impurities. Optional: Apply preferred NuFACE serum by tapping into your skin with your fingertips. 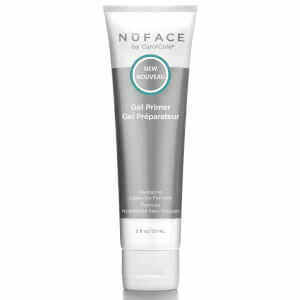 Apply NuFACE Gel Primer in a mask-like layer to one area at a time, beginning with the left cheek. Skin should appear wet, and you should feel no sensation from the device. Turn on your device by pressing the ON/OFF button. Press the intensity control button until you reach the maximum level. Intensity can be adjusted for comfort at any time. 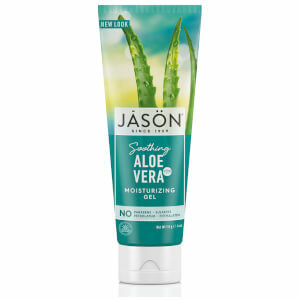 Use as directed, targeting different areas of the face. Power off your NuFACE device and clean off any excess gel from the attachments. Place your device on its charging cradle or plug into the charging cord so it's ready for next time. Remove any gel primer from face with a damp cloth or cleansing wipe. Apply your favourite NuFACE Serum or continue with your normal skin care routine.